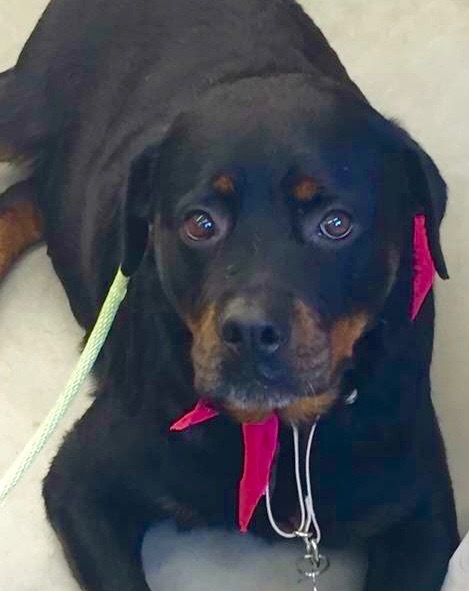 Brittany Lynn is a stunning 6-year-old purebred Rottweiler retired from her life as a breeding dog. She is learning how to be a beloved family member. Brittany Lynn has a sweet disposition and very loving nature. Based on what we’ve observed thus far, she seems to do well with other dogs and children. She has not been assessed with cats yet. This beautiful girl won’t last long! She is a true gem!